Canada's dying asbestos industry was dealt another blow Friday from one of its former friends, with Industry Minister Christian Paradis announcing that the federal government will no longer oppose global rules that restrict use and shipment of the substance. In an announcement in Thetford Mines, Que., where he took several shots at the province's new Parti Québécois government, Paradis said his Conservatives are reversing course and won't use their veto to stop chrysotile asbestos from being listed as a hazardous substance under the international Rotterdam Convention. Paradis also said Ottawa will invest up to $50 million to help the country's last remaining asbestos mining region, in Quebec's Eastern Townships, to diversify into other areas of activity. The government had previously blocked the chrysotile form of asbestos from being listed under the convention on three occasions, most recently at a summit last year in Switzerland. 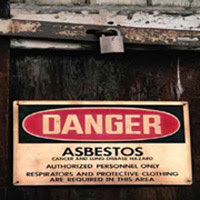 The convention requires consensus of its members to list a substance; five other forms of asbestos are already covered by it. Asbestos production in Quebec has been de facto shut down for the last couple years, but the outgoing Liberal provincial government was loaning $58 million to a company to restart its chrysotile mining and export operations. The incoming Parti Québécois provincial government has promised to cancel the loan, and suggested it would ban asbestos production and exports outright. The federal government's stance, however, has been that "we promote the safe and controlled use of chrysotile." Paradis basically blamed incoming Quebec Premier Pauline Marois for forcing Ottawa's hand, saying Friday that Marois "has clearly indicated her intention to ban the production of chrysotile in Quebec. Evidently this action will have a negative impact on the future prosperity of our region." The PQ, though, has repeatedly pledged to take the $58 million from cancelling the loan to the Jeffrey asbestos mine and put it toward economic diversification in the area. Reopening the mine would have put 400 to 500 employees back to work. As recently as 2010, Canada was producing 150,000 tonnes of asbestos annually, all of it in Quebec, and exporting 90 per cent — worth about $90 million — to developing countries. More than 50 countries ban the mining and use of asbestos because it causes cancer. But Canada, traditionally a major exporter, has successfully lobbied to keep it off the Rotterdam list, putting it in the company of Vietnam, Kazakhstan and Kyrgyzstan, which also opposed the move. A listing in the convention forces exporting countries to warn recipients of restrictions and bans on a substance, to label their exports and to handle substances in controlled ways. A party to the convention also has the right to ban imports of any listed substance. "It does create bureaucratic hurdles that do not exist at this time, and in international trade, an unnecessary bureaucratic hurdle just becomes a trade barrier," said Guy Versailles, a spokesperson for the consortium behind the Jeffrey mine. Versailles said the company was disappointed by Paradis's announcement, but insisted that it's not the death knell of the asbestos industry and that talk of the consortium's $58-million lifeline getting revoked is mere speculation. "This in no way signals the end of chrysotile in Quebec," he said. "The Jeffrey mine has kept going ahead as planned to reopen the mine." 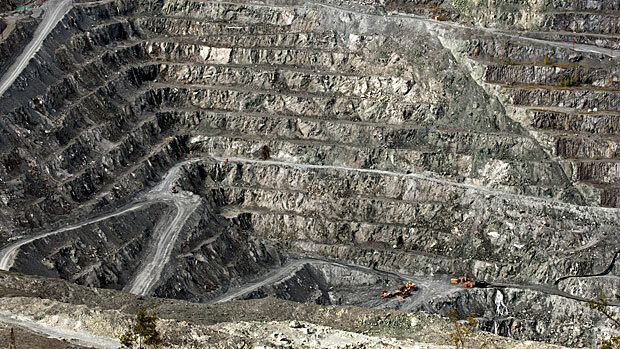 A second operation, the Lac d'Amiante mine in Thetford Mines, declared bankruptcy late last year. Employees there have been pushing for a return to work, but the company would have to gain access to new deposits of the mineral to have anything to extract. Three of the four major parties in Quebec's recent election campaign vowed to shut down the industry in the province. The Canadian Cancer Society and the Quebec Medical Association have also denounced the plan to reopen the Jeffrey mine. The cancer society said Friday that the federal government made the "right decision" in withdrawing its opposition to listing chrysotile asbestos as hazardous; the Canadian Medical Association and the Canadian Public Health Association concurred. "This is an important first step," the cancer society's vice-president, Paul Lapierre, said in a news release. "It's imperative that the health of people around the world be put ahead of the interests of the asbestos industry." The World Health Organization says 107,000 people around the world die annually from ongoing workplace exposure to asbestos. It is still used in many developing countries in everything from roofing tiles to cement pipes and boiler insulation, and even Canada imported $2.6 million worth of asbestos brake pads last year. Federal Opposition Leader Tom Mulcair noted that the NDP has long wanted asbestos on the Rotterdam Convention list. "It's taken time," he said. "I was the first Quebec politician to come out clearly against the mining and export of asbestos. There was no safe use." Needle-like asbestos fibres were once considered magic minerals. They were woven into clothes, building insulation and coffee pots. They were even mixed with children's play dough. In its heyday, the Jeffrey mine in Asbestos, Que., was the biggest open-pit asbestos mine in the world. Then, starting in the late 1960s and '70s, study upon study began linking asbestos to voracious diseases such as lung cancer, scarred lungs (asbestosis) and mesothelioma, a cancer of the stomach and chest that is only caused by exposure to asbestos. A study in a peer-reviewed journal had earlier estimated that there could be more than 6,000 workers affected by asbestosis (an untreatable lung ailment) and another 600 suffering at the minimum from asbestosis-related lung cancer in India at present. Occupational cancer from asbestos, the disease caused by emissions at the work place, poses an increasingly serious health problem. But the subject has attracted relatively little attention from industry, labour, public health bodies or the medical profession. Asbestos is one of the single largest sources of occupational cancer. Indian polticians are acting as if they are bonded workers of asbestos industry. India’s Position on Chrysotile Asbestos Dictated by Vested Interests! World Trade Center, New York collapsed Thousands of tons of asbestos became airborne. Back in 1981, there was research coming out that Asbestos was cancer causing and this ad was in rebuttal to that research touting the benefits of using Asbestos. The text over the Twin Towers states, "When the Fire Alarm Went Off, It Took Two Hours to Evacuate New York's World Trade Center." I do not need to remind anyone of the images of September 11th and this ad. 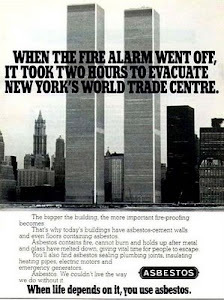 The copy below the ad goes on to mention all of the places that Asbestos was used in the World Trade Center. I can not not think of all of the innocent victims in the area that were exposed to all of the dust, smoke and inherent asbestos that was in the air after the buildings collapsed. The cloud of smoke went across the entire city and potentially exposed hundreds of thousands of individuals to asbestos. Hopefully there can be a cure or treatment for Mesothelioma before all of these potential victims are diagnosed. 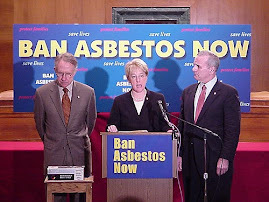 Afer EU, Australia, Japan & others, US pases legislation to Ban Asbestos in its country. 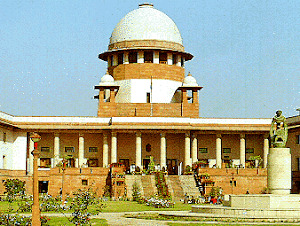 In 1995, the Supreme Court of India fixed Rs 1 lakh compensation amount and identified National Institute of Occupational Health (NIOH) as the final authority to certify asbestosis cases. Compensations are given through the Employees State Insurance Corporation (ESIC). Two workers in Ahmedabad Electricity Company diagnosed as having asbestosis by NIOH have been compensated by Gujarat High Court. Twenty-five workers in asbestos jointing and packing industry at Mumbai were compensated by the Special medical board of ESIC. The court ruled that the industrial units must maintain a health record of every worker up to a minimum period of 40 years; insure workers under the Employees State Insurance Act or Workmen’s Compensation Act and give health coverage to every worker. Every day estimated 30 deaths in India is under way due to the ongoing trade and use of white asbestos. 'Asbestos' in Greek means 'indestructible'. Greeks called asbestos the 'magic mineral'. Asbestos is a generic term, referring usually to six kinds of naturally occuring mineral fibres. Of these six, three are used more commonly. Chrysotile is the most common, accounts for almost 90 per cent of the asbestos used in the industry, but it is not unusual to encounter Amosite or Crocidolite as well. Though Crocidolite asbestos is banned in India, it can still be found in old insulation material, old ships that come from other countries for wrecking in India. All types of asbestos tend to break into very tiny fibre, almost microscopic. In fact, some of them may be up to 700 times smaller than human hair. Because of their small size, once released into the air, they may stay suspended in the air for hours or even days. Asbestos fibres are virtually indestructible. They are resistant to chemicals and heat, and are very stable in the environment. They do not evaporate into air or dissolve in water, and they do not break down over time. Because of its high durability and with tensile strength asbestos has been widely used inconstruction and insulation materials - it has been used in over 3,000 different products. Where do we use it? In India, asbestos is used in manufacture of pressure and non pressure pipes used for water supply, sewage, irrigation and drainage system in urban and rural areas, asbestos textiles, laminated products, tape, gland packing, packing ropes, brake lining and jointing used in core sector industries such as automobile, heavy equipment, petro-chemicals, nuclear power plants, fertilizers, thermal power plants, transportation, defence. Vladimir Putin government set up a panel of experts to give an opinion on a possible Russian asbestos ban. The panel’s report gave an impassioned defence of asbestos use. Dr Izmerov gave a presentation on "Chrysotile. 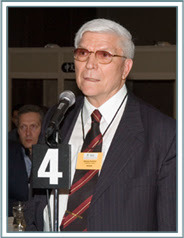 Russian Experience in Occupational Health" at the International Conference on Chrysotile in Montreal during May 23 - 24, 2006. Russia exported 152, 820 MT of chrysotile asbestos to India in 2006.